With the first registered American Paint Horse coming very late – on February 16th, 1962 – one would’ve never imagined the popularity that would befall this great American breed of horses – and in such a short period of time. Regardless of how much people expected it – it happened, and it’s all been documented by the American Paint Horse Association. Have you ever heard of the association? Well, you should’ve – as it’s the second largest association of its kind in America, and it’s also the fastest growing one – as the fame that this breed has benefited from as of late is just huge. And given its rise, the association itself has become the paramount resource for all possible information regarding the Paint. If you don’t believe us, then you don’t have to! You can believe in the numbers: 1,000,000 horses had been registered with the APHA as of the 2nd of July, 2011. That really is an achievement worth noting in all the books about our equine friends. It’s also worth noting that the latter 500,000 registrations came only in about 11 years, while the first half needed approximately 38 years to reach that number. This goes once again to prove just how much of a star the American Paint has become. 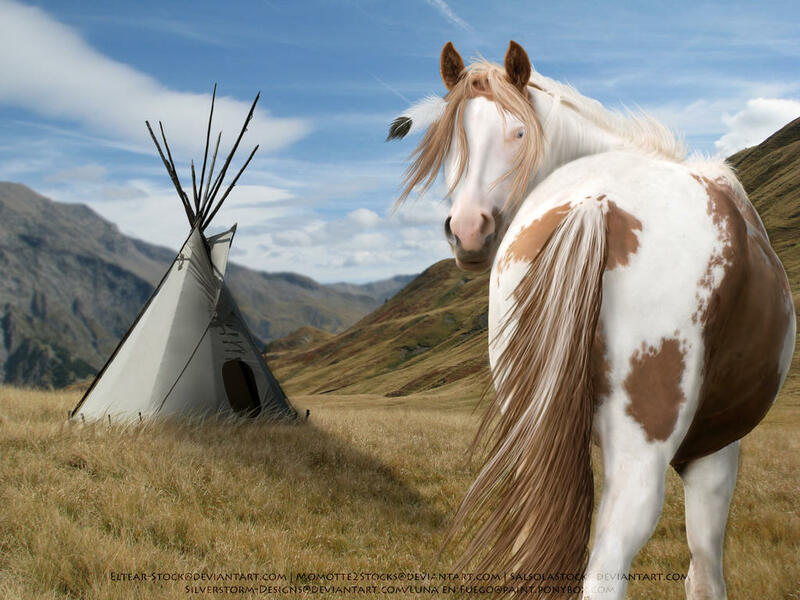 A beautiful painting of a Tobiano American Paint Horse on a Native American setting. The American Paint Horse Association – abbreviated as APHA – started out way back in the 1960s. Hold on, that’s not that far back, actually, compared to the American Quarter Horse Association, which had its inception in 1940. However, we must remember that the Paint Horse was not that popular during that time. Many people did not feel particularly attracted to the Paint Horse’s speckled coat. However, many felt that there was indeed a need for the horses to be indexed. One of the people who felt this way was Rebecca Tyler Lockhart. So, at the beginning of summer, on the 6th of July 1960, Rebecca decided to take matters into her own hands – literally. She began by inquiring amidst locals, friends, and equine lovers. She asked which of these would be interested in a Paint Horse registry. And sure enough – there were a lot. 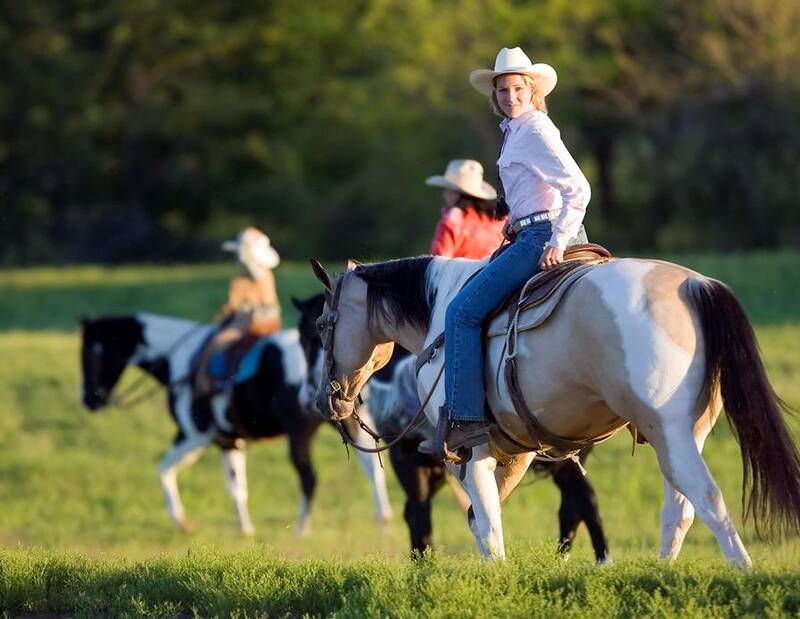 After several meetings and administrative decisions, Rebecca became the secretary, and started registering Paint horses from all across the nation. The very first horse registered was Bandits Pinto, from the Texan ranch Flying M of McKinney. Bandits Pinto was a black and white tobiano Paint Horse. It was entered in the registry August 11, 1962. From August to the end of that year, Rebecca managed the impressive feat of registering 250 horses, and 150 owners as members of the association. Under new leadership, the association, then known as the American Paint Stock Horse Association, moves to Amarillo in 1963, and then to Fort Worth in 1964, both in Texas. On December 1st, 1965, the APSHA merges with another American Paint Horse association – the APQHA (American Paint Quarter Horse Association) in order to form what is known today as the APHA. A Tobiano American Paint Horse gaily galloping the fields with its foal. Knowing that they needed to up the popularity of the breed in order to assure its survival, the members of the association introduced the APHA Championships – with several titles available – in 1966, and in 1970, the Youth Champion award. The latter was a major move as it encouraged older ranchers to train their children in the art of equine care, and especially promote the Paint Horse. This move of reaching out towards the young ones was further continued by three other breakthroughs. In 1972, the association introduced the Youth memberships which later transformed into a fully-fledged juniors’ association in 1974 – the AjPHA. This latter organization was so successful, that by 1981 the Youth Development Foundation was formed, which began to award AjPHA members with scholarships in 1983. On account of more and more attention to the horse-loving youth, teams of young riders appeared throughout Texas and not only. This prompted the first ever Youth Team Tournament in 1986. Meanwhile, the association continued to thrive on account of the rising popularity amongst young cowboys of the American Paint Horse. With the Paint Stallion Breeders’ association founded in 1973, the first APHA international show held in Germany in 1985, the first Breeders’ Trust founded in 1994, a new 40,000 sq. ft. headquarters in Fort Worth opened in 1998, and its crowning achievement: the 1 millionth member in 2011, one could say that the APHA is here to stay. Today, in 2015, the APHA is one of the leading names in equine matters in the US. With its incredible rise in popularity, the association also has one of the most complete websites related to horses on the whole internet. And we here have indeed seen a lot of websites about horses. It even has nice little videos for every single pattern of pain horse. You can access their website by clicking here. On their website you can apply for memberships, and learn about all their interesting projects. Like the American junior Paint Horse Association. Or the APHA online forums where you can talk to fellow Paint Horse lovers. Or the APHA Foundation, which offers scholarships to Youth Paint Horse owners nationwide. Or the APHA World Show – the Paint horse show jump competition. Or keep in touch with all the Paint horse racing activities. Or read the Paint Horse Journal – APHA’s official periodical. Or visit the APHA General store, check out international and national clubs dedicated to the legacy of the Paint horse. And what’s more: that’s not even half of what the American Paint Horse Association has available. You can learn more about the breed, get to know everything about the association’s history, and if you like what you see – you can even donate. Who wouldn’t spend a few dollars for their favorite horse in the world? And if you’re feeling like going out on a western trail with fellow cowboys, APHA is perfect for you, as it organizes regular expeditions and trails. If you enroll in such pleasure riding activities and your horse proves resilient enough – you may even get a prize. Riding the trails with the American Paint Horses.